Rated repeatedly by Entrepreneur magazine as one of the world’s Top 500 franchises, Lil’ Angels Photography is a network of over 60 owners specializing in children and family portraiture. 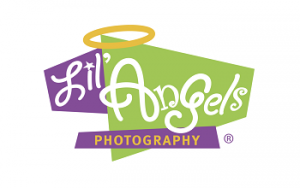 Formed in 1998, Lil’ Angels LLC takes portraits of thousands of children from infancy through school age each year. There is no better way to get started in business than with a franchise, and few are more supportive and affordable than Lil’ Angels! Our franchise owners provide services in venues like schools, child care centers and pre-schools, and on occasions such as sporting events, cheerleading events, dance festivals, fairs and more - anywhere that families come together to celebrate or just have fun. Parents love the opportunity to have exceptional portraits of their children captured innovatively and creatively, providing them with unique family mementos that they will keep forever. Today people are forging ahead and starting home-based businesses. Many are moms looking to generate additional income in a business that allows them the flexibility to work the hours they choose. Others are individuals looking for something new and exciting where they can use their creative skills to build a new business they can call their own. It could be you! What a story you’ll tell with pictures. As a Lil' Angels franchise owner, you will receive complete training, including field training, brand new professional photography equipment, a brand new laptop loaded with several pro software packages and unending support from our corporate team and our network of franchise owners. Request information now to get started.